Philadelphia security lighting tips are offered by NiteLites of Philadelphia Outdoor Lighting Services. Businesses want to protect their employees and clients as well as their property. Homeowners want to keep their family, friends, and homes safe. Outdoor lighting is one of the most affordable additions to help protect against intruders. Significant peace of mind comes when risk of crime as well as accidents are reduced. Insurance coverage rates can be impacted by many variables. A well lit property is much less likely to vandalized than one that is left in the dark. Also, slip and fall accidents can be very serious as well contributing to higher premiums. In order to determine savings, the individual should contact to see how low their premium would go. As far as a deterrent for crime and an enhanced safety measure security lighting is an inexpensive long term investment that makes good common sense. 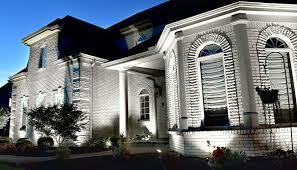 The purpose of security lighting is to protect persons and property usually between dusk and dawn. Because outdoor lights will often be burning for 12 hours continuously, having energy efficient lights major consideration. Outdoor LEDs are an excellent choice for energy savings, which impacts both the cost to operate as well as the impact on the environment. Of course security lighting is only effective at night. Business and home owners who are looking for an added measure of protection at night can get this with of affordable security lighting. Having good outdoor lighting is a critical element in providing effective security. It discourages crime, makes it easier to identify criminals, and makes your employees and guests feel safer and more secure. Unfortunately, it is only a myth that break-ins and vandalism only happens at night. Because crimes are perpetrated both day and night, it is important to have comprehensive safety and security measures in place. To learn about the crime in your neighborhood and the best solutions to protect yourself and your property, contact your local law enforcement and chamber of commerce.